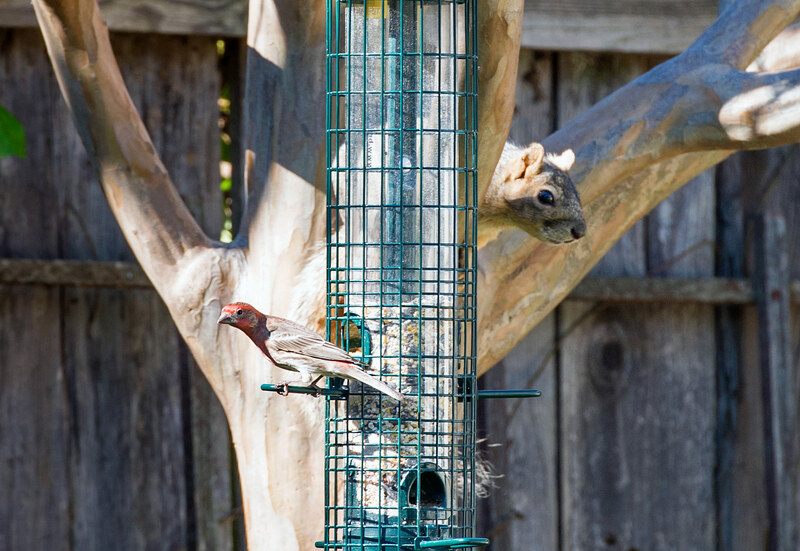 The tiny bird makes the squirrel’s head look absolutely enormous! Whee have naughty squirrels like that round here!! Squirrels never stand on ceremony or require an invitation to the bird feeder. They just assume you meant to send one and it got lost in the mail. Our pups would go crazy trying to get him! I know every little creature has a purpose but I really could live without squirrels and chipmunks because of the damage they cause. I’m just not a rodent fan but I know I’m in the minority.